Thanksgiving & Christmas are right around the corner! Oh how I love this time of year. This Thanksgiving we will all be heading over to Clayton’s parent’s house for a fun family Thanksgiving feast. 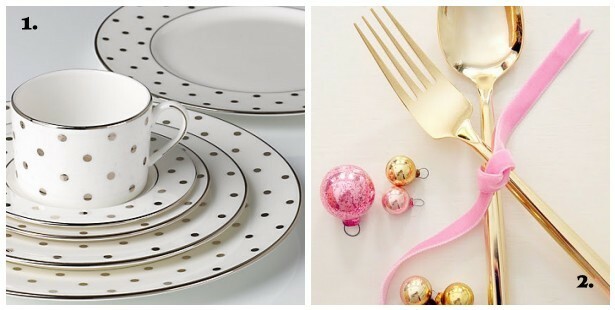 When it comes to holiday decor & tablescapes I tend to like the unique and unexpected. 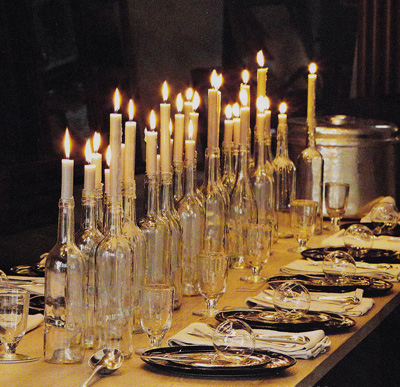 Like this idea of using your old wine bottles as candle holders! Brilliant and cost effective! 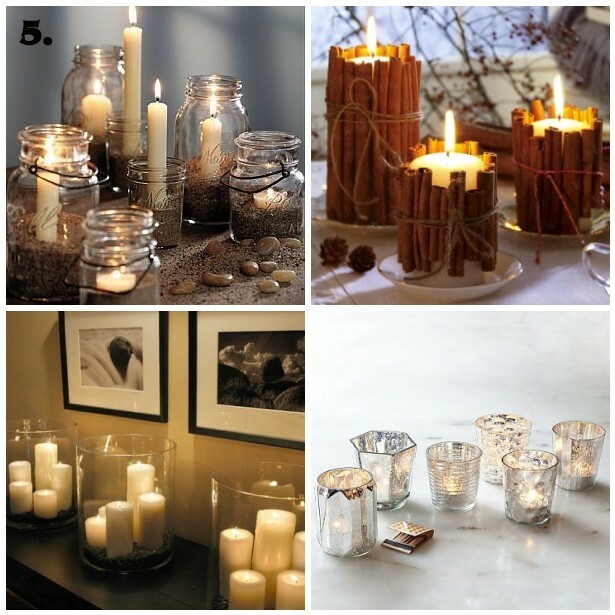 I think candles are a definite must when it comes to decorating your table for the holidays. Colors I normally lean toward are metallic & earth tones. 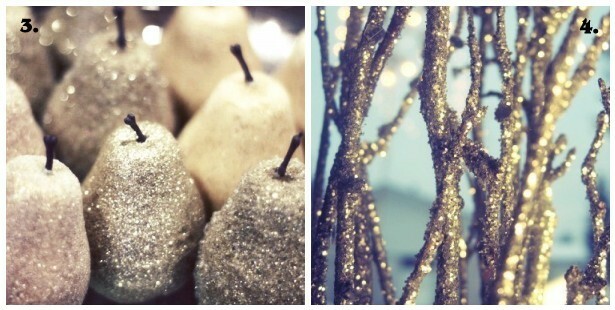 Gold, silver & champagne colors are among my top favorites. 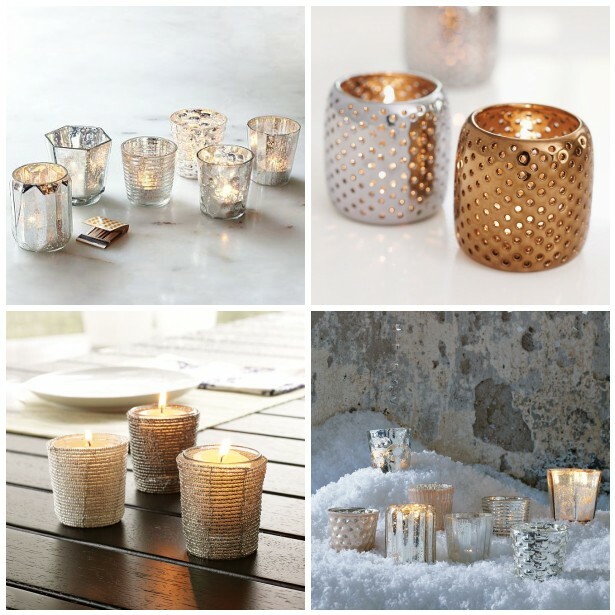 West Elm has some GORGEOUS options for tea light candle holders. Kind of obsessed. Also check out Pottery Barn. 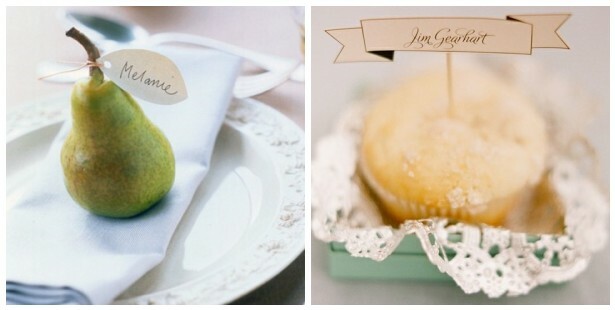 Place cards are another detail that I really like for any special occasion. Small details like these make all the difference! 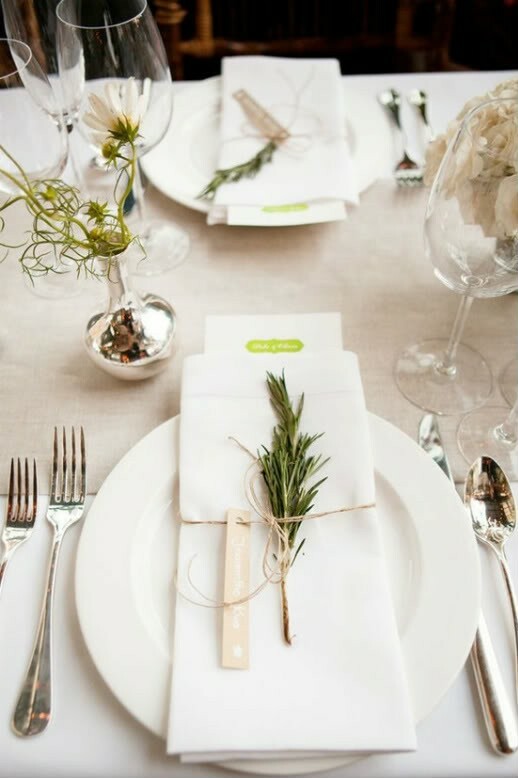 There are so many different easy ideas for holiday place cards on Pinterest. Now let’s talk menus! 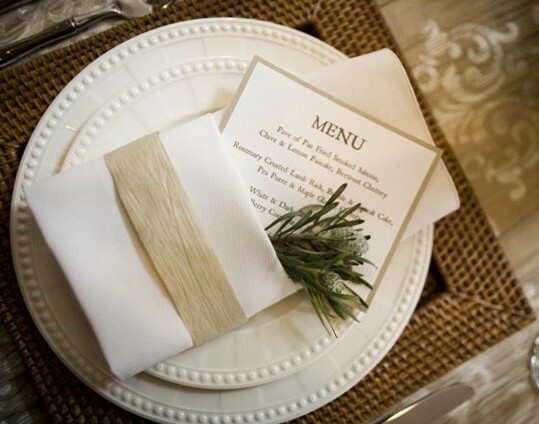 Personalized menus are a great way to personalize your table and wow your dinner guests. This one is so cute for Christmas! 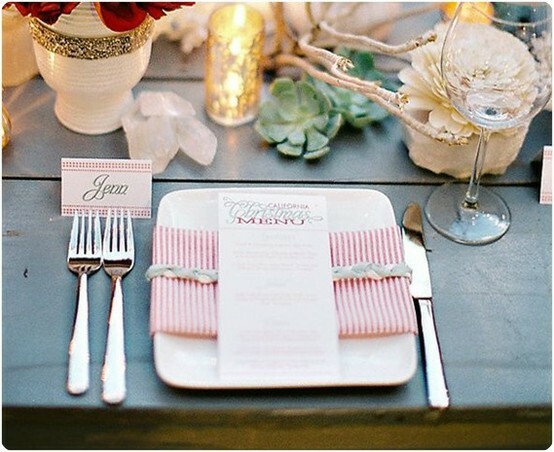 The candy cane stripes are adorable. Or you could keep it simple & chic. 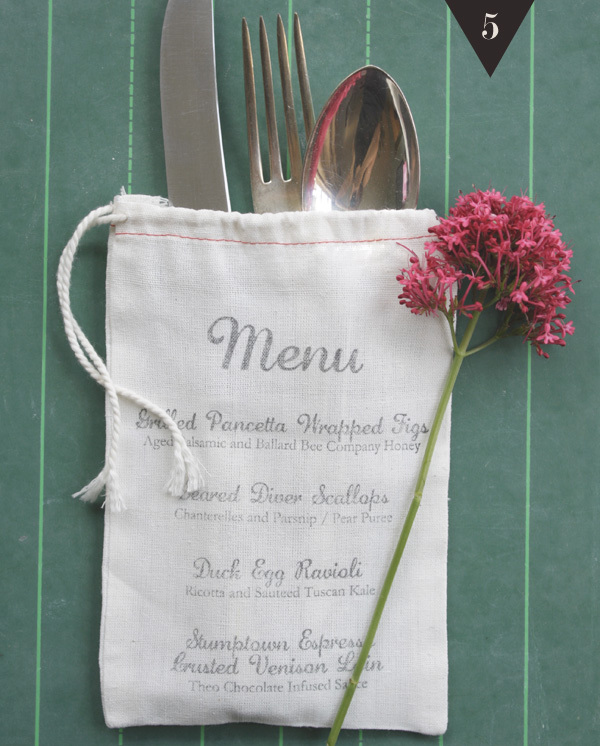 Here’s another amazing idea for a menu. 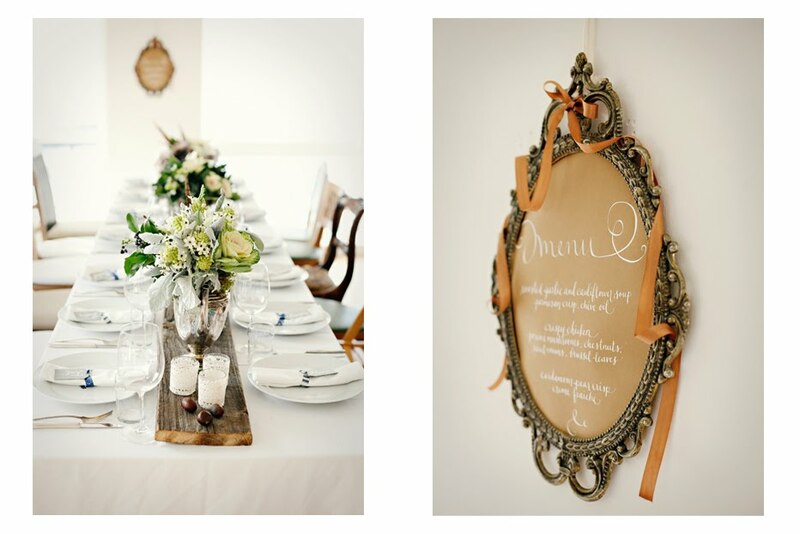 Such pretty elements of vintage & rustic style. 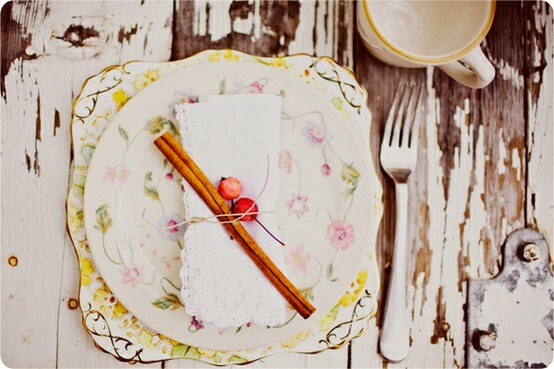 Dress up your place settings with simple things like a cinnamon stick, berries & twine. SO simple yet so amazing. 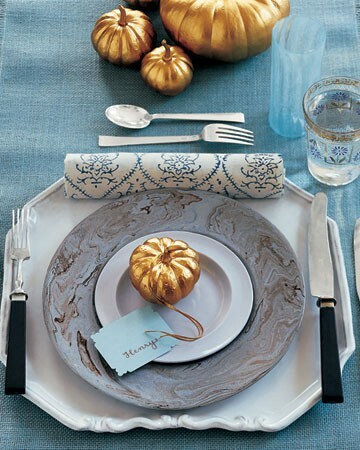 Do you have any fun holiday decor ideas for your table? Do share!